As the bees move into the brood boxes for the rest of the year following harvest, there are always a few that don’t take kindly to their rapidly reduced real estate. 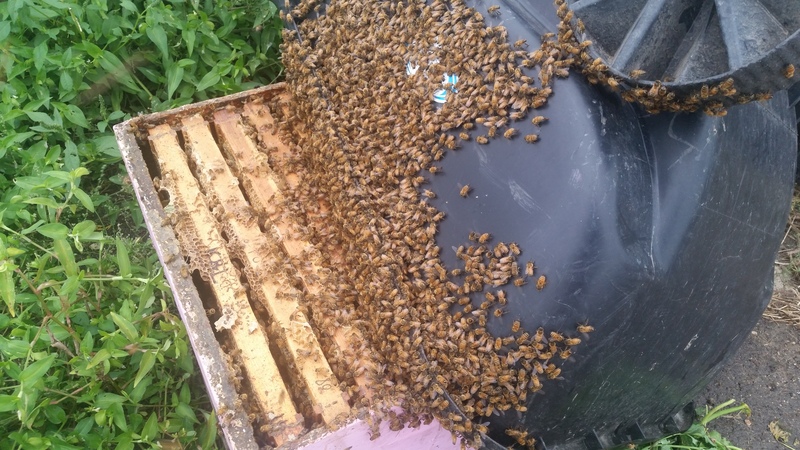 Who wants one or two deep boxes after being all stacked up for a honey crop??? Alas, it’s important for fall management and forthcoming wintertime conditions to pull down the boxes. 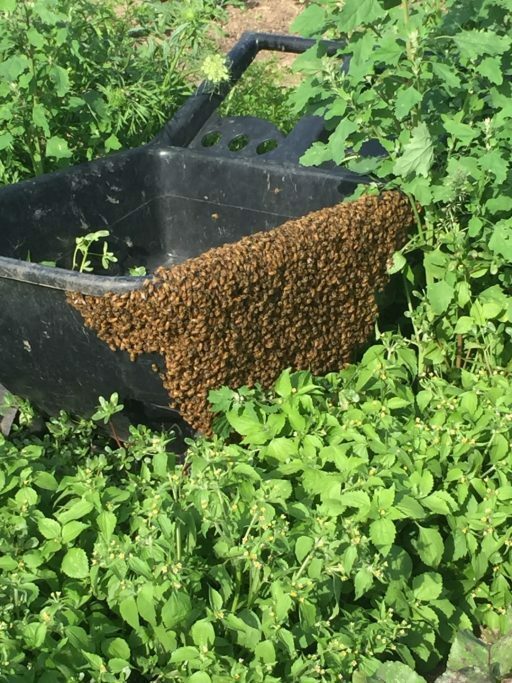 Not many swarms occur despite the rapid shift in available space, but here is one that took up residence on the side of a wheelbarrow! A Questionable Place to Settle, Silly Swarm! A Cozier Home–They Happily Obliged to Enter! 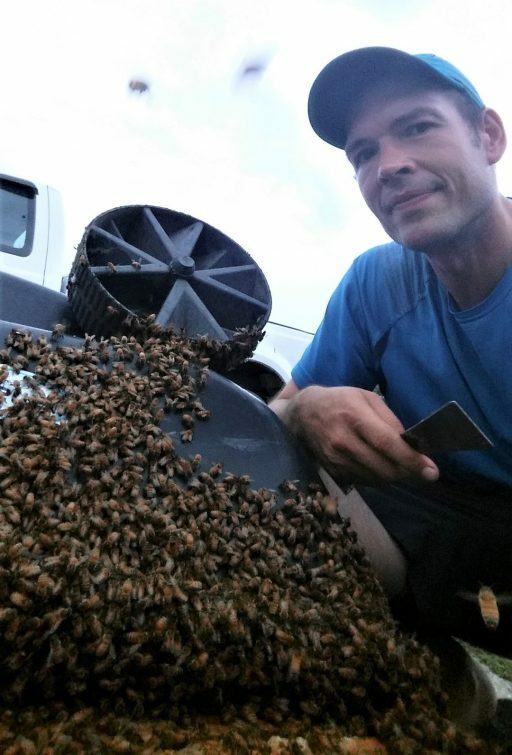 Bees are generally quite docile in swarming situations, so there was no need for protective equipment on this little mission. Since they were totally exposed with lots of rain on the approach, I am happy to know that they’re not chilly and drowned. Many thanks to the landowner for letting me know of their attempted escape! In a week or so I will make sure the queen is laying eggs in the new abode! Adios bees!